The current economic outlook for American businesses looks promising. Unemployment is low, GDP is up and the stock market is healthy. Despite all this success, however, small business failure rates remain the same. This is a troubling statistic considering more than half of them won’t survive past five years. So, how is it that the economy is booming, yet small business failure is flat? It’s because macroeconomic successes have nothing to do with the day-to-day operations of small companies. There are many reasons small businesses fail, such as cash flow, inability to execute, competition and even low product interest. When you are running a small business, every speed bump feels like a mountain. Hit too many speed bumps at the same time and it can cause cascading problems that are difficult to overcome. Without a doubt, the data is clear on one thing: 82% of the small businesses that failed did so because of cash flow problems. It’s the number one small business killer. When business consultants analyze these failures, they tend to focus on high-level problems such as poor go-to-market strategies, leadership issues or even poor financial planning as the primary cause of failure. While those reasons can all contribute to cash flow problems, there may be a practical problem that is influencing underperformance even more. That problem stems from a poor technology toolset. Running a small business is about the grind, the day-to-day operations and finding a way to keep your head above water. Like the shock of cold water in the ice-bucket challenge, reality can hit you hard and all of those hours picking paint colors for the office suddenly seem wasted. Small businesses inherently overlook the technology platforms that help them manage their day to day — and that’s exactly how cash flow begins to erode. 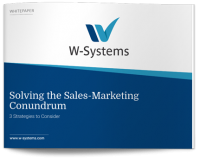 There are three main technology pieces that should be at the centerpiece of every new business venture: a CRM platform, a financial software tool and an application for mass communication. These technology components will allow you to stay organized, manage cash flow and rapidly communicate. It might not be the glamorous side of business, but a close eye on these systems will keep the needle in the black. At the center of this technology triangle is CRM — customer relationship management. CRM platforms offer a powerful database that contains vital information on customers, vendors, employees, partners, suppliers and leads. They also have capabilities for real-time dashboards, sales forecasts and a slew of other business data like tasks, schedules and customer support tickets. 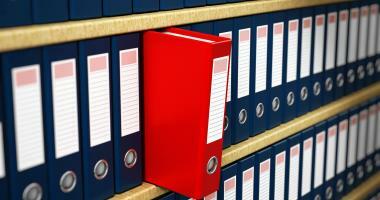 This technology allows you to stay organized and quickly find contact information and relevant data. 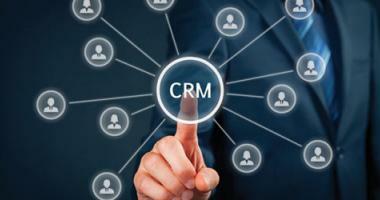 CRM systems are also important because they are the hub for other technologies to connect. Financial systems like QuickBooks give small businesses complete insight into their financial worlds. Look for a single application that helps you manage accounts payable, accounts receivable, invoice creation, balance sheets, profits and loss and complete transaction histories. With cash flow being a major concern for small businesses, you cannot overstate the importance of financial software. Finally, small businesses need to be able to quickly communicate with large groups of customers, leads and partners. Having a communications system like Constant Contact that can reach out to predefined groups in your database is vital for cash flow. Being able to communicate a new promotion to your prospects is a vital part of growth, much like communicating with existing customers helps you keep the business you have already won. Speed of communication is vital to growing a business’ bottom line. These three technologies, when used together, can help small businesses manage the day to day with a close eye. It’s far too easy to get caught up in the glamor of the idea and overlook the grind, but it’s the grind that separates the winners from the losers. When small businesses have organized data, financial awareness and speed of communication, they are far more likely to succeed. And if we all spend more time planning our technology systems, perhaps we can turn that shocking failure rate around. This article originally appeared on the GoldMine Blog. 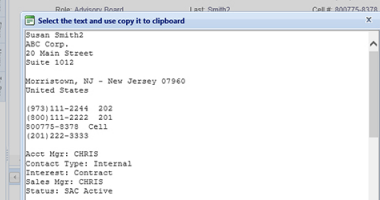 Configuring Remote GoldMine Service with SystemDir as UNC path or Virtual Drive can be challenging. We'll analyze scenarios and solutions in this article. GoldMine has an option to Copy Contact Details. In this article we explain how to use a similar option on the wMobile Desktop toolbar. 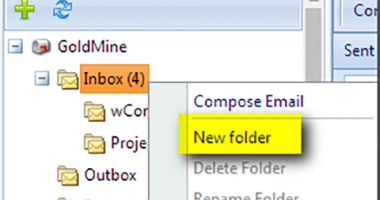 wMobile Desktop now supports adding, editing and deleting custom folders in the GoldMine Inbox.